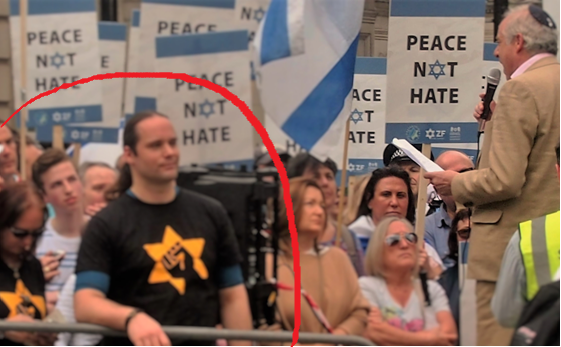 I’ve also mentioned several times in my blog posts about Israel’s ethnic cleansing of the Palestinians and the anti-Semitism smears, that some Orthodox Jews strongly reject Zionism and the state of Israel from religious reasons. As Sam Seder explained in a clip from the Majority Report I put up about a week ago, and a young Jewish woman, who was brutalised for heckling Binyamin Netanyahu when he addressed Congress, traditional Jewish theology considers it a sin to try to establish a Jewish state in Palestine before the coming of the Messiah. I found this clip on YouTube of a mass meeting of 10,000 plus Orthodox Jews in New York in 2013 to condemn the state of Israel, and in particular a law by the Knesset that would force Yeshiva students – that it is, students at the Jewish religious schools and seminaries – to join the army. The speakers not only make it plain that they see the state of Israel as a blasphemy, they also bitterly resent what they see as the Israeli military’s attempt to make their young men complicit in the military’s crimes. One speaker denounces the Israel government for trying to turn Jews, a traditionally peaceful people, into a militaristic and aggressive nation – ‘the hands of Esau’. The clip is also interesting as they quote a former Chief Rabbi of Jerusalem, Rabbi Sonnenfeld, who refused Zionist aid for his people during a terrible famine in the 1920s. Despite the fact that his people were dying of starvation, Rabbi Sonnenfeld refused the money, as he felt it was an attempt by the Zionists to buy influence in his community. As pious, Orthodox Jews, they also pray for God to return to His people quickly, and come to dwell with them in the Holy City of Zion, as prophesied in the Hebrew Bible, the Christian Old Testament. The speeches are in Yiddish, but there is a English voiceover and subtitles.